Add pizzazz to your living room or kitchen by adding this solid wood composed side chair. The simple design helps it adapt to a large number of different styled tables. 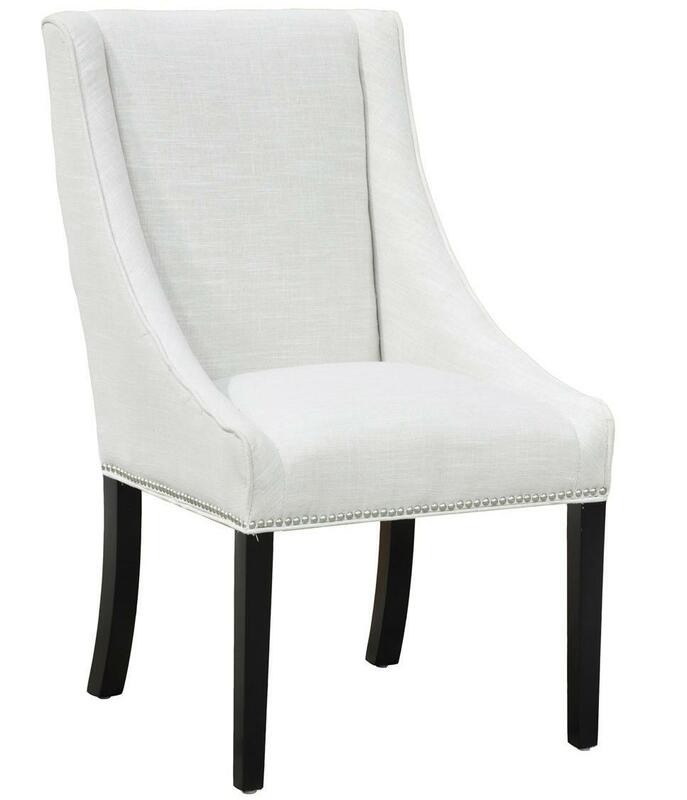 The decorative iron nailhead trim around the base of the seat beautifully accents the transition from leg to seat. The chair's linen blended seat and seat back adds to the contemporary and current style of the its slim solid wood legs. The Collina Contemporary Side Chair with Nailhead Trim by Classic Home at Ruby Gordon Home in the Rochester, Henrietta, Greece, Monroe County, New York area. Product availability may vary. Contact us for the most current availability on this product.